Kala Debuts New uBass Models at NAMM Show – Play UBass! New 5-string SUB UBass available! A Cherryburst and Red 5-String uBass in the Kala booth at the NAMM Show. You asked for it. And you got it. 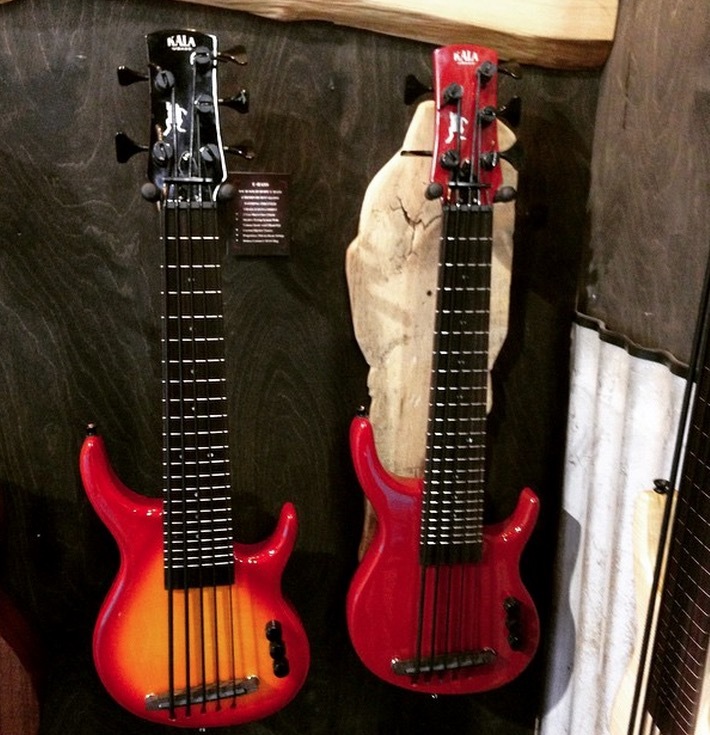 Kala at the 2015 Winter NAMM show introduced five new 5-string S-U-B series Soldibody uBass models to its lineup. Fans of the four string models have consistently asked about the possibility of a five string model. Kala has answered that request with four new models for 2015. The new 5-string SUB models feature Kala’s Pahoehoe strings, a Shadow active pickup system with volume control and 2 band EQ, Custom Hipshot Tuners, and a Graph Tech Black Tusq self-lubricating nut. Five-string fretted versions are available in Sunburst, Cherryburst, Red, and Black finishes and come with a Custom Deluxe Logo Gig bag. The new models list for $619.